Easily and quickly edit your video with powerful features. As internet speeds are faster, and available bandwidth pipes are larger. This has led to the popularity of FLAC as a music file format, a song saved in the FLAC format will tend to sound more true to the original and will offer a better audio experience, compared to an mp3. Because of its popularity, more people are also looking for a FLAC player on Android. If you're looking for a FLAC player on Android, here are three options to consider. 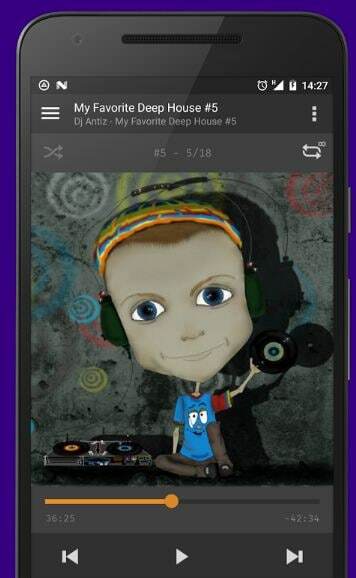 If you're wondering what Android app can play .flac music files. It's one of the apps , which can play FLAC files without a hitch. There isn't generally any stuttering or popping here. Instead, the FLAC songs on your device will play just as smoothly as the mp3 versions. The app also offers other benefits. When it comes to playback, Power Amp allows users to have songs fade into each other for a more seamless listening experience. The audio characteristics can be tweaked further thanks to a 10 band equalizer. It also allows users to make changes to the tags of their songs, as well as look for the relevant album art for these. The main downside though of this app is that you need to pay up in order to make use of it. It does have a trial version, but that's only good for about two weeks. After that, you'll need to open your wallet to continue using this FLAC player on Android. 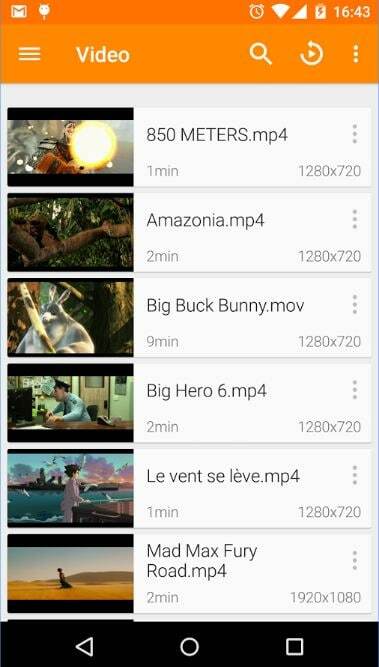 VLC is another app, which can be used as a FLAC player on Android. This is a very well-known media player because a lot of people have already tried using the VLC player for Windows, Linux, and other non-mobile operating systems. One of the main advantages of VLC is that this software is made available for free. There are no additional costs associated with getting full functionality for the product. Once you install it, you already have a full-fledged FLAC player on Android. Another advantage of this app is that it can handle a ton of different file formats whether involving audio or video. This ability to play just about anything is one of the trademarks of VLC software. A major downside though is that this is an app that remains under active development. Your mileage may vary, so that some people find the app rather stable, while other still run into unexpected bugs. While it's no longer in beta, you will still want to try and test it out for yourself, and compare it to other options. AIMP is another FLAC player on Android that is not as well-known as some of the others, but which is also available for free. This app doesn't try to offer all the bells and whistles or provide a large number of features. 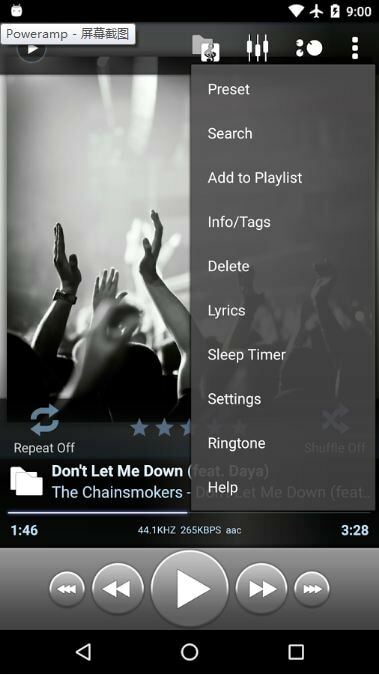 Instead, it focuses on offering a very light and quick way to play FLAC audio files on an Android device. This will be a major benefit for people who use devices that don't have the most powerful specs. This is also great for people who just want an app that works, as opposed to having to deal with all sorts of menus, buttons and preferences cluttering up the screen. That also leads to this app's main downside though. It's designed to look and function in a simple way, and some people might get turned off by that, if they'd rather have a FLAC player on Android that looks more polished, fancy and which offers more functionality. Another answer to how to play FLAC files on Android involves taking the FLAC files and converting them into a file format that can be more easily played by your existing Android music player. There are a number of different yet effective ways of doing this on your computer. Many people, for example, choose to convert the FLAC files to the mp3 format. One way to perform the conversion is using a website, which does the heavy lifting for you. A site like media.io will allow you to upload your FLAC file, have it convert the audio, and then download an mp3 version. This has the advantage of being free, as well as not requiring you to install any software. You won't need a FLAC player on Android because you'll have mp3 versions to use. The downside though is that this process requires internet access and relies on your internet bandwidth. Another way to perform the conversion is through the use of software installed on your computer. One example of this is the audio converter software developed by MediaHuman. The user interface is relatively friendly and non-threatening. You can also make adjustments to the resulting mp3's sample and bit rate, which will have an effect on file size. Another example of free software, which can also do this is FlacSquisher . This app can take FLAC files and convert them into mp3's, as well as other audio file formats. It's a fairly simple piece of software, but it gets the job done. Have you tried Filmora? In my experience, it allows you to keep the same quality of the original video at exporting (but you have to change the settings at the export window), so I think maybe it can keep the original quality of the music. You can try it. Google's own, Play Music supports Flac files just fine. After you download the songs either to the phone or external storage it'll see it automatically. almost 2 weeks finding lossless music play with perfect cue file reading . Also missed Neutron, it's not for everyone. But if you're an audio engineer or geek in general, then there is nothing else like it. Everything from multi band full parametric to 32 band graphic eq. Tempo, Time, Though Viper has some interesting add-ons. A very good article, but missing one point: I want to use the FLAC format to keep the original quality of music rather than convert to MP3 with loss of quality. My phone has limited space, but my speakers have great sound quality. Is there an app that will accomplish this? Thank you in advance. great and much useful article, thanks for nice information.